German underwear brand Bruno Banani has launched Absolute Woman, the feminine counterpart to 2014's Absolute Man. Absolute Woman is a fruity floral. The notes include bergamot, pink grapefruit, lychee, pink pepper, rose, marigold, jasmine, orange blossom, amber, musk, patchouli and vanilla. 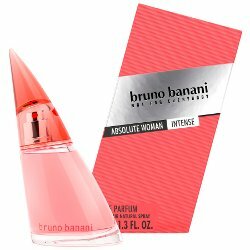 Bruno Banani Absolute Woman is available in 20, 40 and 60 ml Eau de Toilette and 40 ml Eau de Parfum.